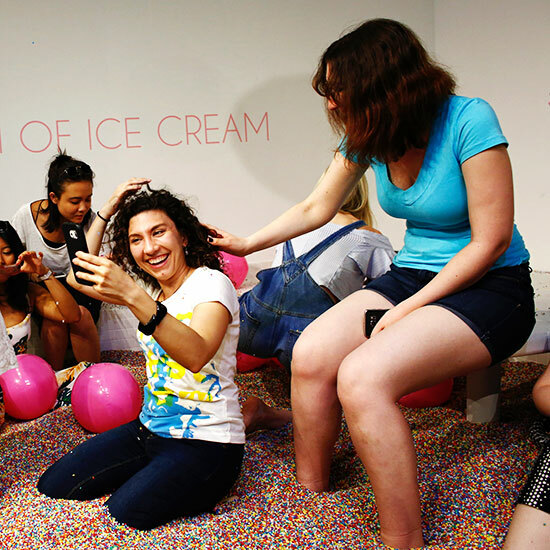 If your obsession with ice cream knows no bounds and the prospect of jumping into a sprinkle pool is more exciting than a banana split with extra hot fudge, you'll certainly want to take a gander at the Museum of Ice Cream. After a succesful run in NYC last summer, the sugar-fueled playground is back (this time in L.A.) with the sights, sounds, smells and – most importantly – tastes that made its East Coast debut so popular (and Instagram-worthy) in the first place. Featuring a Neapolitan ice cream swing, scoop-shaped teeter-totter and wall of waffle cones, the popular pop-up attracted over 30,000 visitors with its interactive rooms and edible exhibits. Aside from the now-famous pool of sprinkles, one of the most awe-inspiring features was its helium-filled, Willy Wonka-esque edible candy balloons (though we're not quite sure they had the same appeal as a pint of the cold stuff). An official location is TBD, but Los Angeles Magazine reports that online job postings hint at either a Santa Monica or Venice Beach venue. No word on whether the museum's original sponsor, dating app Tinder, will be participating in the second pop-up, but this is certainly a date opportunity you'll want to swipe right to. Assuming the museum finds even more success in a different market, we obviously wouldn't mind if this becomes a permanent thing. Can you imagine the possibilities? A Ben & Jerry's tasting room? An ice cream-inspired cocktail bar? Traditional churning lessons? There are so many ice cream-ified attractions that could really put the cherry on top. If there's any city that would be perfect for making an ice cream museum a fixture, it's L.A. Time to get scoopin'.